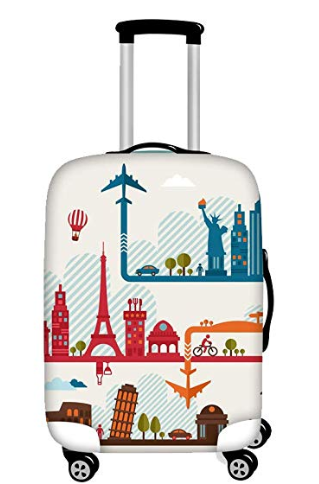 Luggage covers are, for the most part, pretty revolting design-wise unless you get a plain colour or a transparent cover. But are they a good idea? They are easy to put onto your suitcase and simple to remove and launder. Plus they do keep your expensive suitcases clean. 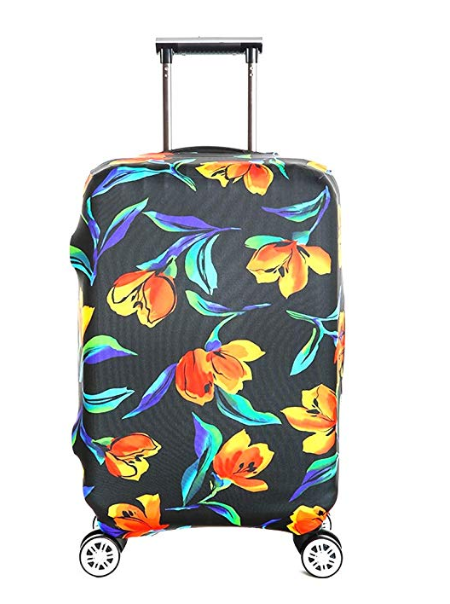 If you’ve ever read about the way that (some) baggage handlers can be pretty rough with your precious luggage once you’ve checked it in, then you’ll agree that an inexpensive cover could be just what you need. They also solve the dreaded luggage carousel problem. I really don’t like airports. 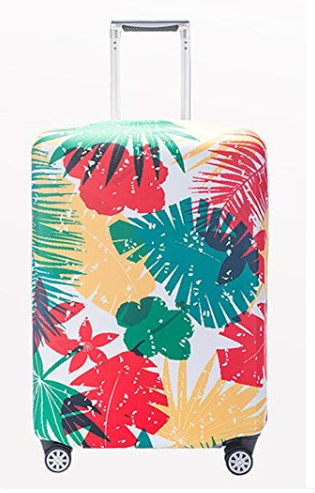 And until I decided that I would travel light and go absolutely everywhere and anywhere with just carry-on, the worst part of the entire airport experience was that bloody carousel. It’s bad enough waiting there forever (sorry but it seems like forever) and it’s especially galling when you realise that you hadn’t recognised your own suitcase when it eventually came around and now it’s disappeared into that dark void again. So for this reason, as well as the above, I’m coming around to the idea that these kitschy covers can actually be of use. The companies that provide them don’t, as yet, employ decent designers. Oh okay, apologies if you’re a designer who has developed some of these things but you’re few and far between. 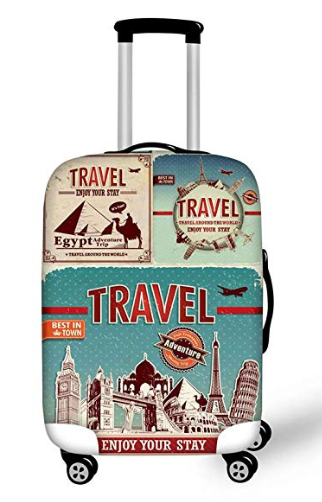 There’s even a company that will create a suitcase cover for you bearing your text or even your photograph. (See here if you doubt my word). You can see the selection available on Amazon, both sensible and daft, here.